Payment may be made via PayPal or contact us for other payment methods. Thank you. You can send a check, call us at (951) 695-7540 to pay by phone, or use the form below. Click on PayPal to pay via PayPal or click on Visa, Mastercard, American Express, or Discovery Button to pay by credit card. 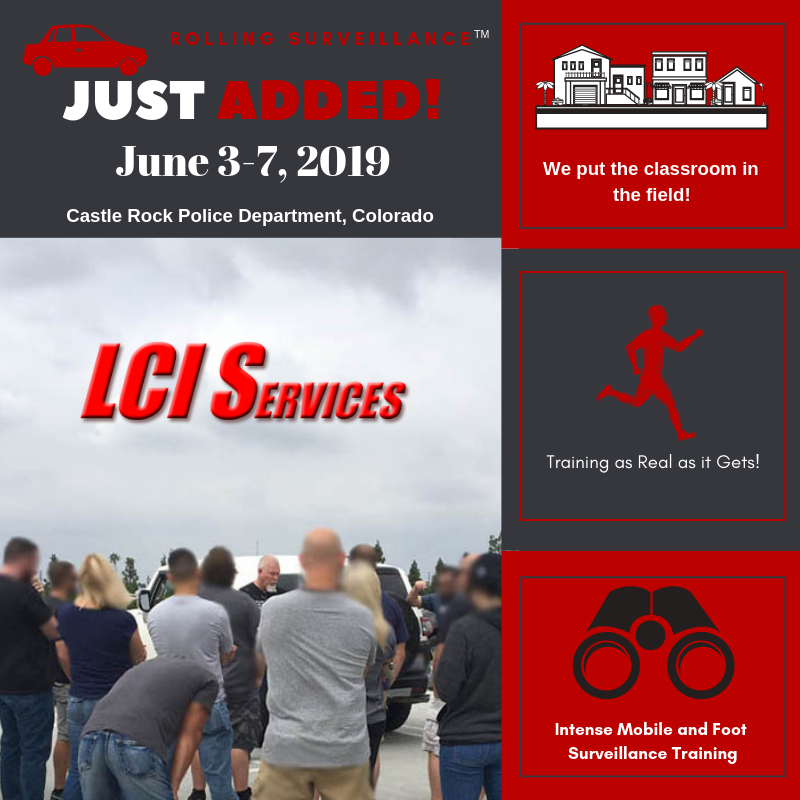 Rolling Surveillance Training Course for Law Enforcement in Tualatin, OR from April 8-12, 2019. $555 Early Bird Payment when payment received PRIOR to March 15, 2019. $585.00 thereafter.